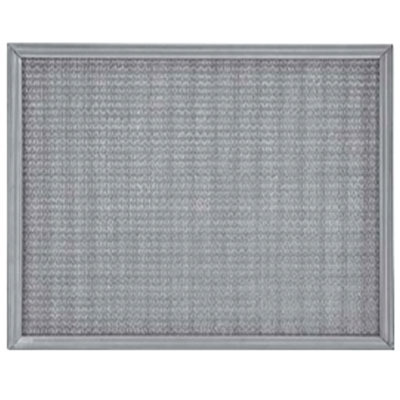 The 16 x 20 LIFETIME MAKE UP AIR FILTER consists of seven layers of expanded Aluminum grid, enclosed in a heavy Aluminum Frame. 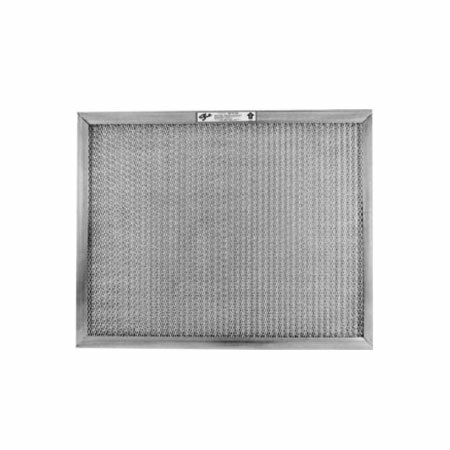 Designed for applications where a sturdy Aluminum filter is required. These precision-made, thoroughly tested files exceed the test requirement of Federal Specification ASTM F872. 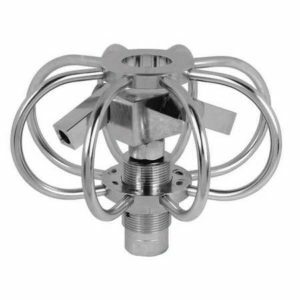 Applications include automatic heating, ventilating and air conditioning systems in schools, hospitals, hotels, commercial and industrial buildings. CONSTRUCTION – The LIFETIME FILTER is processed from sheet Aluminum, no less than .025 in thickness expanded to .031 strand. The material is expanded in a special pattern of various densities of 3/32″ x 5/16″x 1″. The filtering element consists of not less than seven layers of this media, and assembled so that each layer lies at right angles with the preceding layer. Each layer of media is corrugated from 1/4″ to 3/8″ to provide maximum dust holding capacity. The filtering element is framed in a formed aluminum channel, not less than .037 thickness. Frame os secured so that the face is smooth and free of projections. Holes are punched on one side of frame to facilitate drainage after cleaning. Handles on frame are optional. Filter is designed to retain 571 grams of dust per 2.25 sq. feet of filter area. Resistance when clean is .077 wg at 350 FPM air velocity. 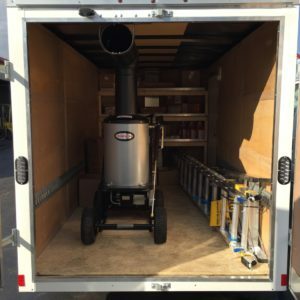 Designed to be used in heating, air conditioning and makeup air systems where a sturdy filter is needed. 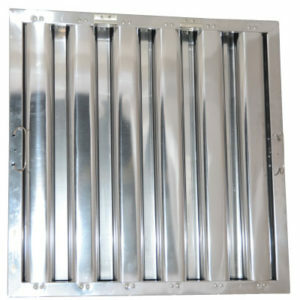 This filter can also be used in light grease, low heat applications. The LIFETIME FILTER is comprised of seven crossed layers of corrugated aluminum mesh of various graduations and densities. The patented design of the filtering element causes the air to constantly change direction when passing through the filter, thus extracting, trapping and retaining dust particles, pollen and other foreign materials in the process. Corrugation of the media reduces face loading and provides greater dust holding capacity. The layers of mesh are encased in a heavy aluminum frame, secured with rivets to assure long-term service. STOCK SIZES – The LIFETIME FILTER comes in a wide variety of stock sizes. 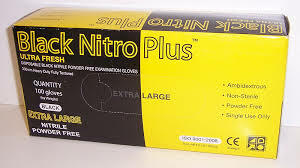 Actual size of Stock Filters are 1/2″ under in length and width, 1/8″ under in depth. (Example: 20x20x2 is actually 19 1/2 x 19 1/2 x 1 7/8). CLEANABILITY – Regardless of dust conditions, filters can be quickly and effectively cleaned with steam or hot water applied with a pressure hose. For best results, do not use a strong Alkali Solution (Caustic Soda) when cleaning any Aluminum Filter. 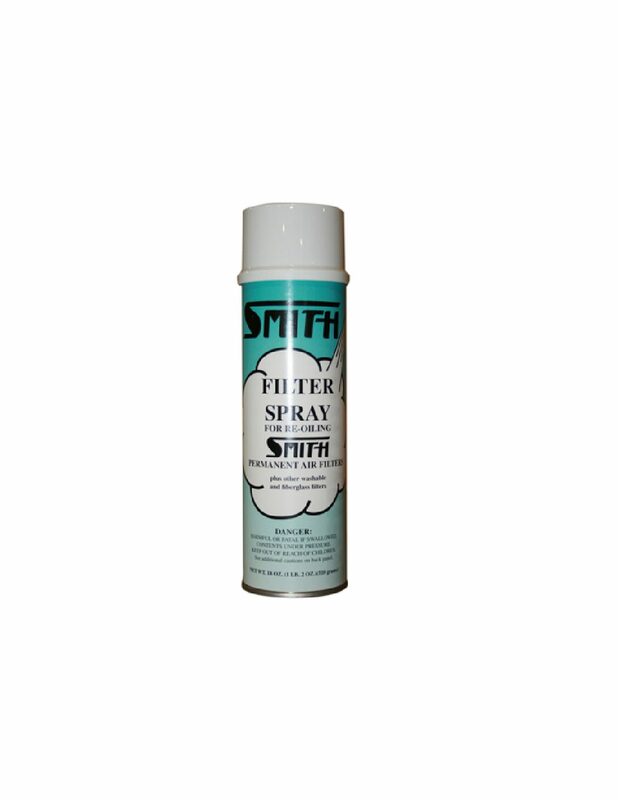 A light spray of Simple Green or other non caustic degreaser can be applied to the face of the filter after cleaning is recommended for increased efficiency. SPECIAL SIZES – Filter can be custom made to fit odd size applications. In ordering sizes other than those shown, state exact size required in length, width and thickness. Also available in 3 inch and 4 inch thicknesses. Special sizes can not be returned for credit. MAXIMUM TEMPERATURE RANGE ON THE LIFETIME FILTER IS 250 DEGREES F.